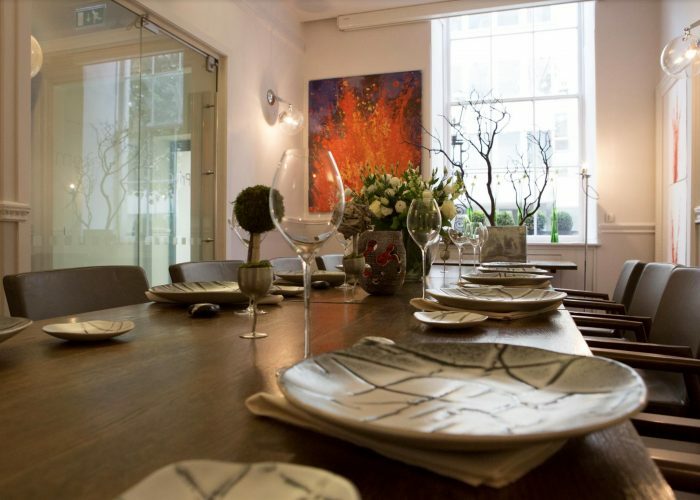 Luxury Private Dining Room at Texture - 34 Portman Street, London W1H 7BY. Thank you for your interest in Texture! 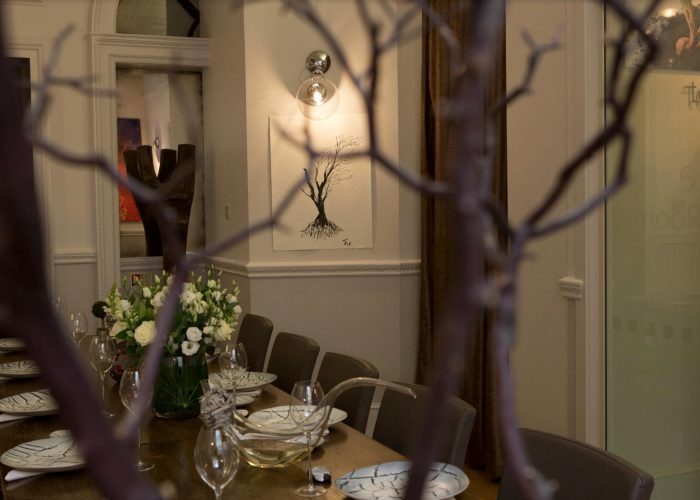 Texture’s private dining room and events space is available for exclusive private hire, where guests who seek a refined dining experience can do so in privacy. Private Dining Room at Texture is on the ground floor adjacent to the restaurant. 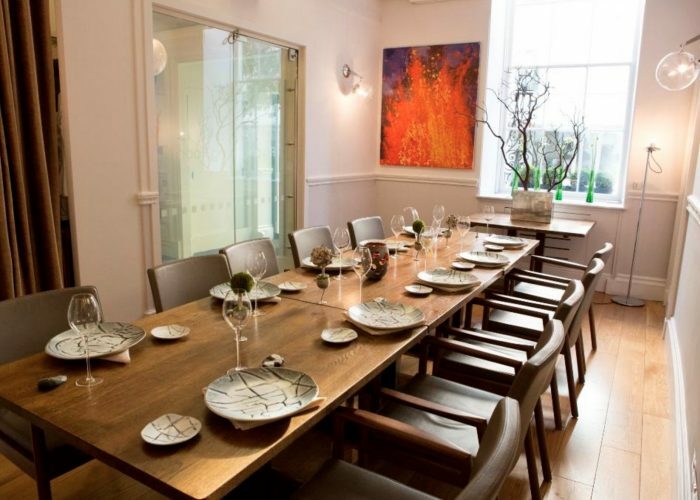 It’s an elegant space, ideal for small intimate lunch and dinner parties, private celebrations and corporate dining (See pictures attached). The room can accommodate a maximum of sixteen guests. There is neither minimum charge nor room hire fee for parties of 8 or above. Named Tolli, after the famous Icelandic artist whose eclectic work is displayed at Texture. 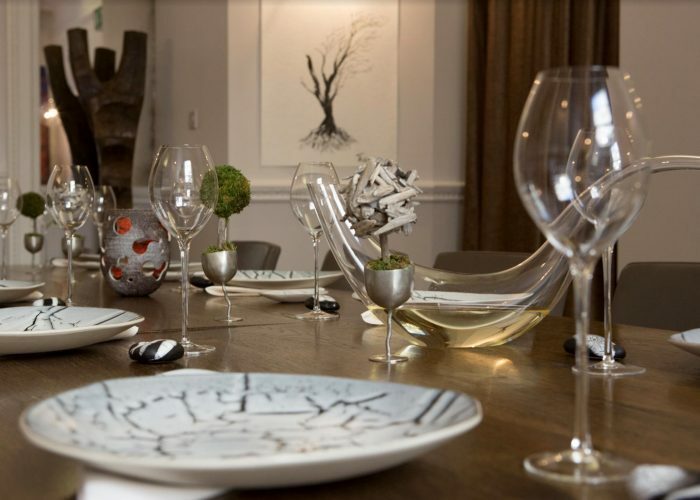 The room seats a maximum of 16 guests, and it can be enjoyed with bespoke menus that are indicative of Sverrisson’s signature style and matched with a wine selection from our impressive wine list. Additionally, prior to your lunch or dinner booking at the Tolli Room, we offer an exclusive wine tasting that is individually tailored to your event. 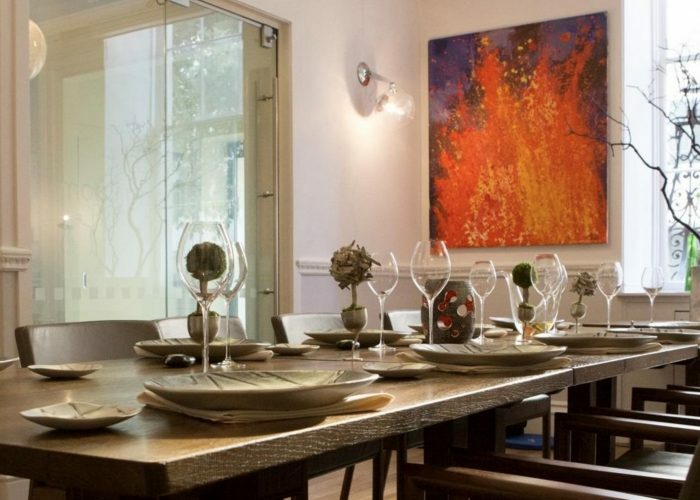 For more information on private dining, larger group bookings, menus and private hire, please do not hesitate to contact us.